Join Our Next Concealed Carry Course April 26/27th! Welcome to our Illinois Concealed Carry Renewal Training! 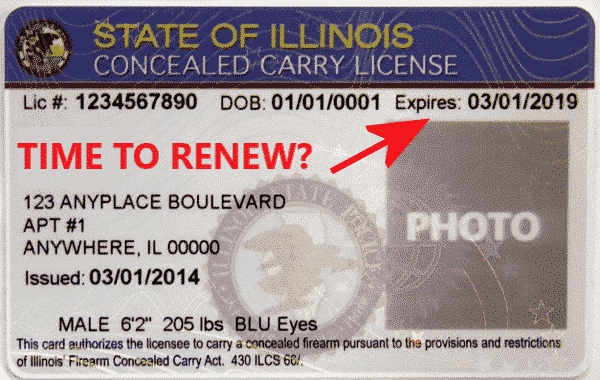 The state of Illinois requires all current licensee's to attend a 3 hour renewal course prior to renewing your CCL License with the Illinois State Police. All courses are taught by Illinois State Police authorized instructors and exceed the state of Illinois requirements for renewals! While the State of Illinois mandates what topics are covered in this course our vast core of expert instructors will also incorporate real world scenario's and statistics pertaining exclusively to Illinois permits holders. We will examine defensive shootings, common mistakes made, law enforcement interaction and debrief our students personal experiences while carrying a gun with their license. d. Live fire qualification with a concealable firearm consisting of minimum of 30 rounds which must include 10 rounds from a distance of 5 yards; 10 rounds from a distance of 7 yards; and 10 rounds from a distance of 10 yards at a B-27 silhouette target approved by the Illinois State Police.